Poplar Lodge is designed to provide all you need for a self-contained retreat. 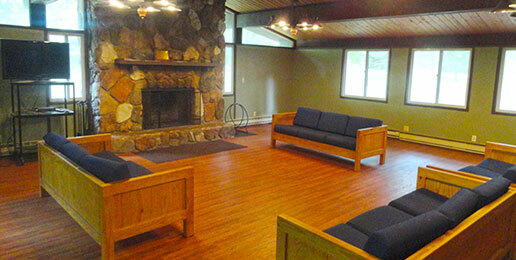 One of the most popular choices for group retreats, this building sleeps up to 60 guests in four dorm rooms. 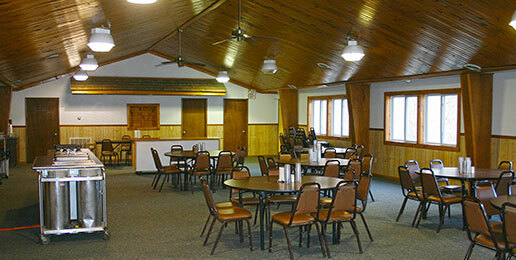 In addition, Poplar Lodge also houses a small kitchen, a fireside meeting room, two bathrooms, a tv/dvd system, and outdoor carpetball tables. 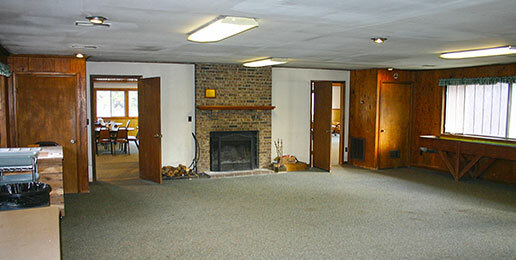 Hickory Lodge has bunk space for 20 people in two dorm rooms, as well as bathrooms and showers. 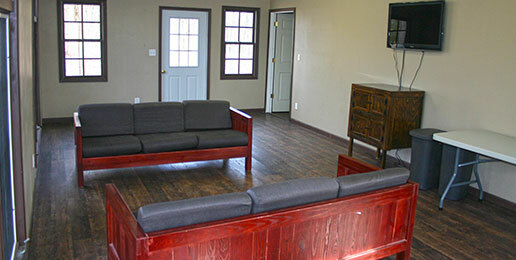 Hickory Lodge also includes a meeting room for 20-30 people, equipped with a TV/DVD system, couches, tables, & chairs. Hickory is located near Eagle’s Nest and Turkey’s Roost, providing ideal joint-rental options for large groups. 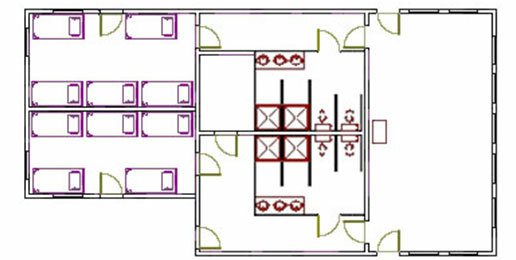 The Stafford Chapel building also holds two cabins in the back, sleeping up to 20 people. 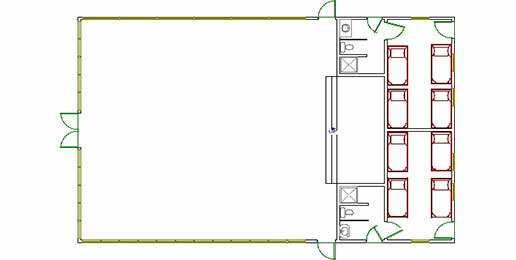 Each cabin has its own bathroom and shower. Groups of 45 or more frequently reserve both Poplar Lodge and Stafford Chapel to ensure plenty of room for their event. 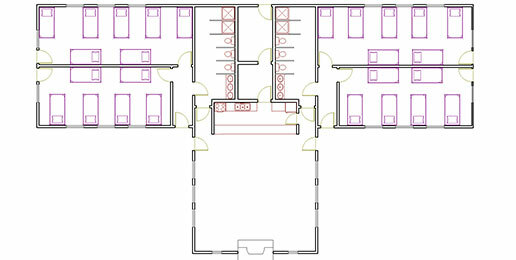 Stafford Chapel provides a large multi-purpose room capable of seating more than 150 people. 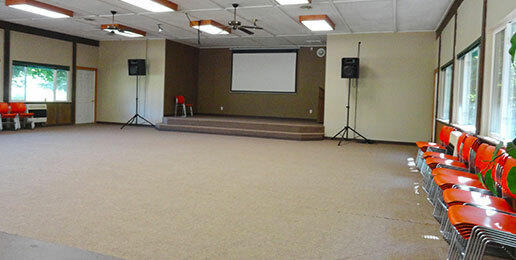 The chapel is equipped with a sound and media system that permits use of audio, dvd videos, and a connection for computer presentations from your personal computer. 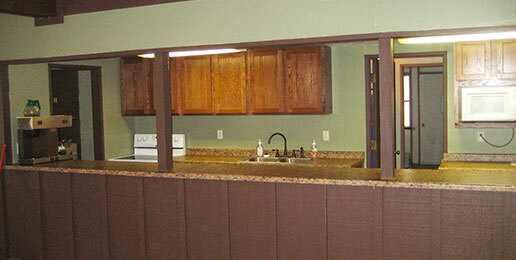 Pine Tree Lodge provides groups with rooms for meals and meeting space. Pine Tree is home to our commercial kitchen, meaning you will not have to settle for traditional “camp food” because we serve quality food at great prices. 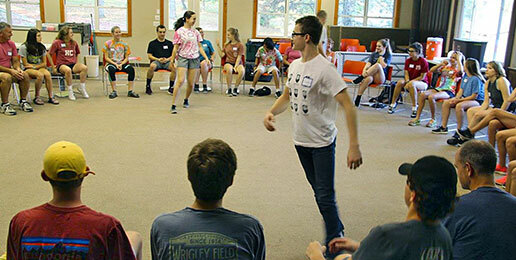 Pine Tree is designed as an activity center for many camp activities such as carpetball, tetherball, a basketball court, and an outdoor campfire pit and picnic area.